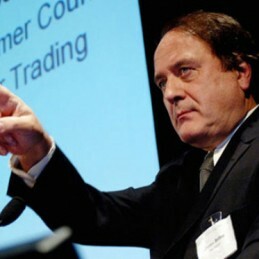 Dr James Bellini is a leading futurologist and author with a considerable reputation as a thought-provoking speaker and moderator at top-level management conferences and business schools around the world. He has expertise as a futures analyst, business consultant, facilitator and broadcaster specialising in: long-term trends for the world economy; national economic growth and global trade relations; industry trends; social trends and the future consumer marketplace; the future outlook for such sectors as retailing, banking, technology and leisure technology and social issues and the future outlook for business within the context of e-commerce, virtual markets and related developments in e-culture. After an early academic career James joined the US-headquartered futurology ‘think tank’, the Hudson Institute, as its first British member. He subsequently moved to the BBC to present The Money Programme, Newsnight and Panorama and then to independent television as presenter, writer and narrator of a wide range of award-winning documentary series, current affairs programmes and environmental reports. For seven years he was a studio presenter with Financial Times Television and Sky News. James has written many books and special reports and is a regular contributor to leading publications. He has also held senior executive positions in advertising and corporate communications and served on the European Advisory Board of the global future forum. He is a member of the British Academy of Film and Television Arts.